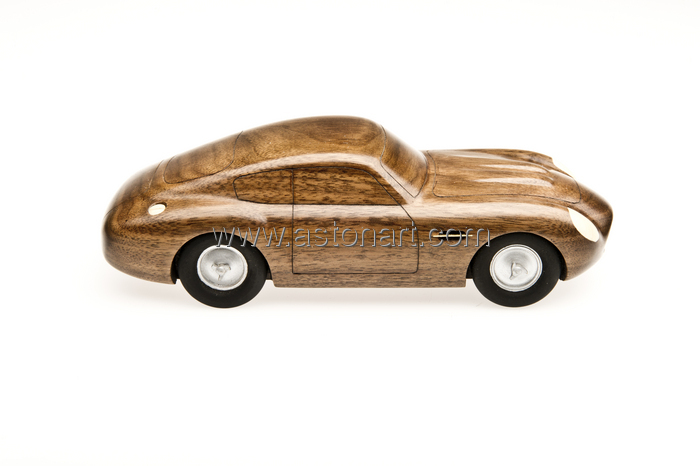 From a collection of hand built wooden models commissioned exclusively by Aston Workshop. 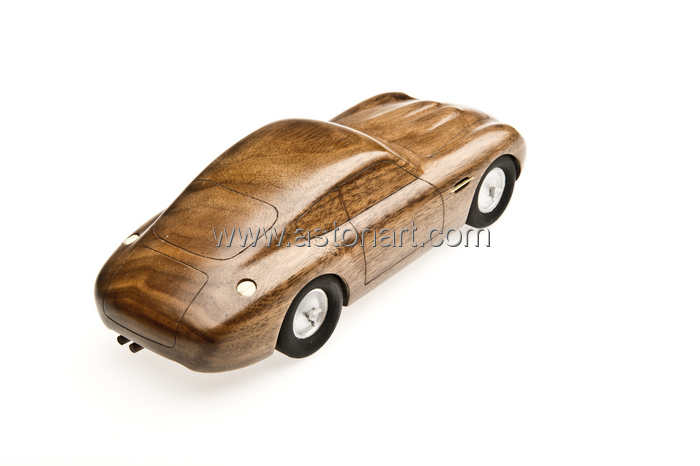 We have great pleasure in announcing our collaboration with renowned and sought after model maker, Toby Sutton. We first became aware of Toby's work via an article in Classic & Sports Car magazine. 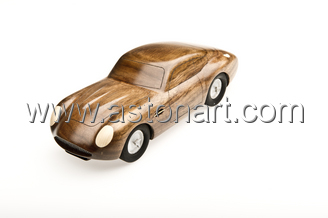 The work that Toby produces is exactly the kind of high quality, hand crafted item that appeals to our regular customers, reflecting as it does the qualities for which Aston Workshop has become world famous. After approaching Toby and putting the idea to him, it was obvious that he felt the same enthusiasm for a series of limited edition Aston Martin based models as we did. The result is what you see here; an initial series of three unique models, each one hand crafted from solid walnut with sycamore detailing, then lovingly hand polished to finish. All models in this series of very limited editions will be signed & numbered by Toby Sutton. Order requests can be emailed here or alternatively please call +44 (0)1207 233 525 and speak to our parts manager, Matt. Please note: These models are hand made to order and will be reserved on a strictly 'first come, first served basis'. Each model takes some weeks to complete and this will inevitably lead to a waiting list, so it is essential that you check with our office before placing your order should you require the model for a specific date.